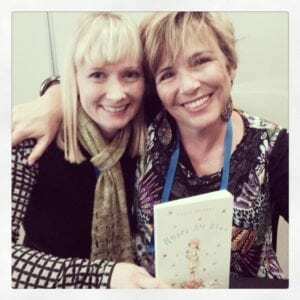 Meet Sally Murphy…here we are together at the launch of her latest verse novel ‘Roses are Blue’. 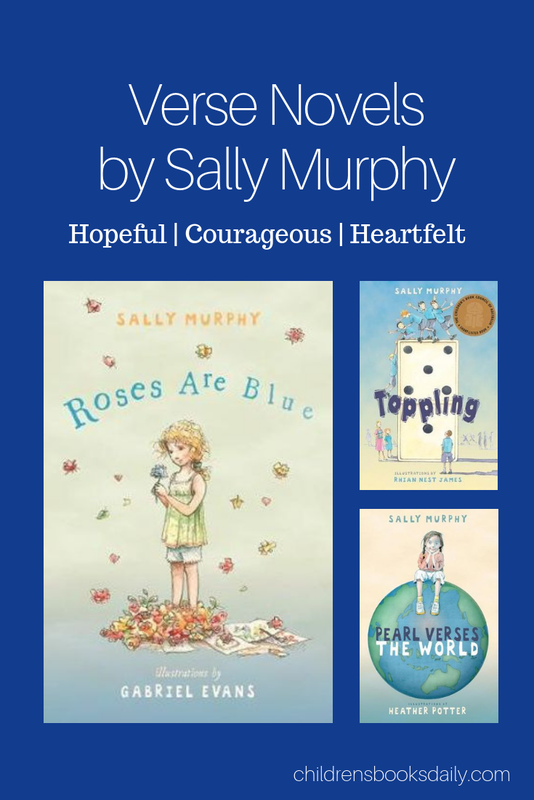 ‘Roses are Blue’ is a stunning piece of writing and a worthy companion to Sally’s two other must-read verse novels, ‘Pearl Verses the World’ and ‘Toppling’. All three books deal with heavy themes such as chronic illness, dementia and family tragedy but Murphy imbues hope in each story and each is told from the perspectives of courageous but relateable young characters. Sally deals with some of the darker moments of life with care and at all times she uses her powerful writing to shine the light of hope through the darkness. 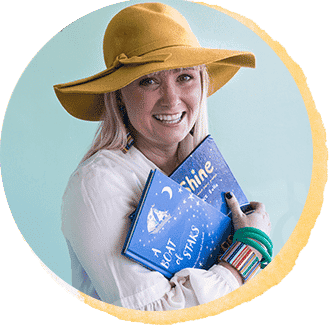 Her books are for all children – those going through circumstances which may be similar to her characters, and others, who will develop empathy and understanding of the lives of others. All three books are told in first person narrative using free verse poetry and would be perfect for a comparative study in a classroom in a Year Three – Five classroom. The verse novel format is particularly good for middle primary readers who may struggle with a long and text-dense narrative. Written by Sally Murphy and illustrated by Gabriel Evans. Themes: family, change, accident, disability, resilience, friendship, care, compassion, empathy, hope. I read Sally’s latest offering on a plane; I am an out and proud reader of children’s books in public places and no adult cover versions are necessary for me! 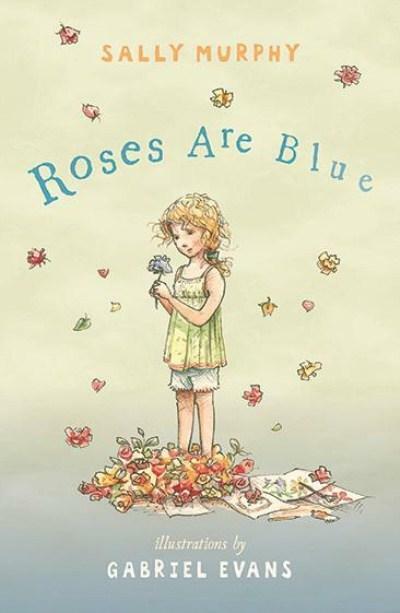 Like all of her other verse novels, ‘Roses are Blue’ made me laugh and made me cry; Sally balances lightness and dark so beautifully. The writing is exquisite and appears effortless but is clearly painstakingly crafted by a talented wordsmith. Amber Rose and her family are dealing with tragedy and change. 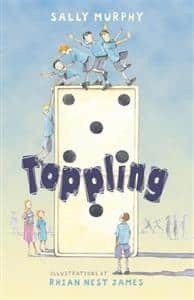 Amber’s mum is profoundly changed following an accident and Amber is very much struggling with some big issues as well as a new home, new school and new friends. Each free verse poem is told from Amber’s perspective and verse novels allow the reader to totally enter the heart and soul of a character and hear their voice. There is no extraneous detail in a verse novel, just carefully chosen words, lines and verses. Amber Roses learns some importance lessons about family, her peers and about resilience. I have not got used to my new mum. Written by Sally Murphy and illustrated by Rhian Nest James. Themes: illness, cancer, bullying, childhood games, friendship, empathy, comfort, support, hope. In the words of my dear literary friend Trish Buckley: Cried. Like a baby. 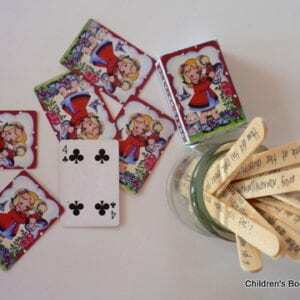 Written by Sally Murphy and illustrated by Heather Potter. Themes: loneliness, death, grief, family, dementia, old age, grandparents, care, compassion, sadness, poetry, hope. My heart broke for Pearl and I cried real tears in front of a real class when I read this book aloud to Year Four for the first time. At home, Pearl has always had her mum and her grandmother. But her grandmother is slowly fading away and her mum is incredibly and desperately sad. At school, Pearl feels as though she is in a group of one and is it any wonder? 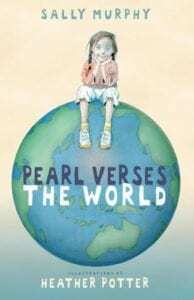 To make matters worse, her teacher wants her to write poems that rhyme but Pearl’s poems don’t. When her grandmother eventually passes away, Pearl refuses to talk at the funeral. But she finds the courage to deliver a poem for her grandmother that defies her teacher’s idea of poetry – her poem doesn’t rhyme; it comes from the heart. and whose Granny is fading? Hi Deb…I have a few super sensitive girls here at school read them here at work and absolutely LOVE them. They are written with such light and hope…just gorgeous! 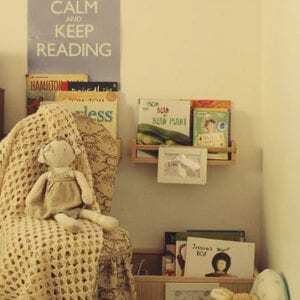 Tear jerkers for sure…but in an incredibly lovley way…YOU read them first!